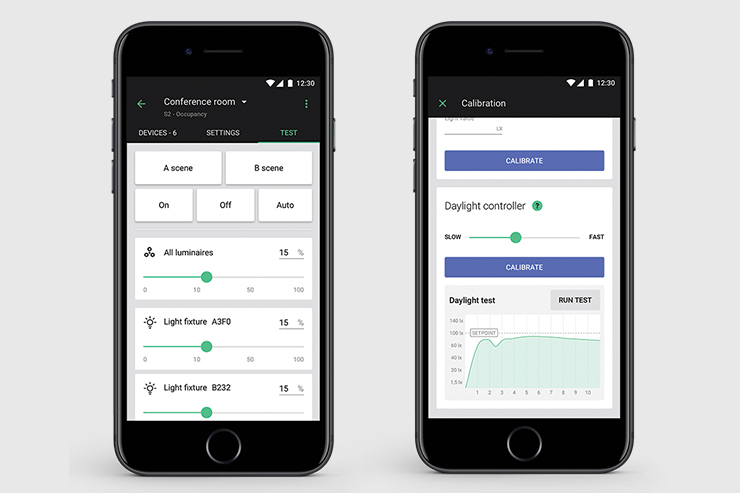 Silvair Lighting Control Solution provides a dedicated set of tools (a mobile app and a web app) that enables simple and affordable commissioning of Bluetooth mesh lighting networks as well as the post-setup customization and calibration of lighting control parameters. Bluetooth mesh, a wireless networking standard, became an important milestone in the evolution of connected lighting systems. Its information-centric approach is a radical departure from other wireless technologies used in smart lighting applications. With a decentralized and scalable architecture, as well as an innovatory publish-subscribe data exchange paradigm, Bluetooth mesh has been designed to meet the requirements of professional lighting systems. To help lighting industry stakeholders unleash the full potential of wireless lighting infrastructures based on Bluetooth mesh, Silvair has developed a platform for commissioning such networks in a time-efficient manner and without specialized training or lighting control engineering expertise. 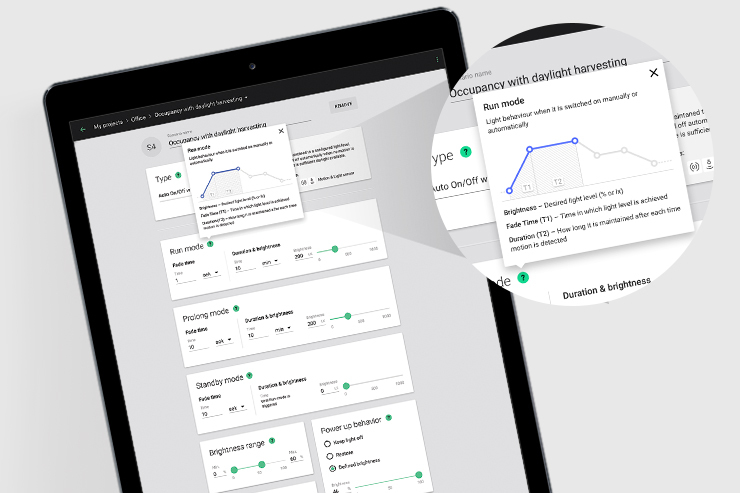 It allows facility managers to easily customize the operational parameters of their lighting systems in accordance with current lighting needs or building energy codes. 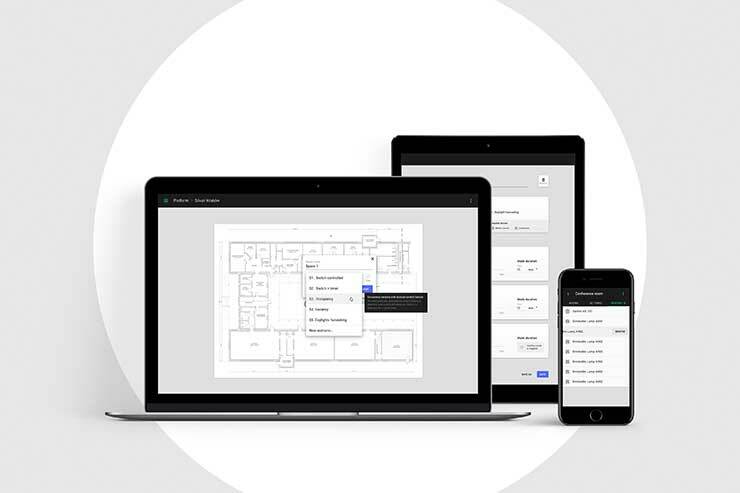 * It streamlines the commissioning process by allowing you to set up Bluetooth mesh lighting networks in large-scale commercial spaces without specialized training or lighting control engineering expertise. 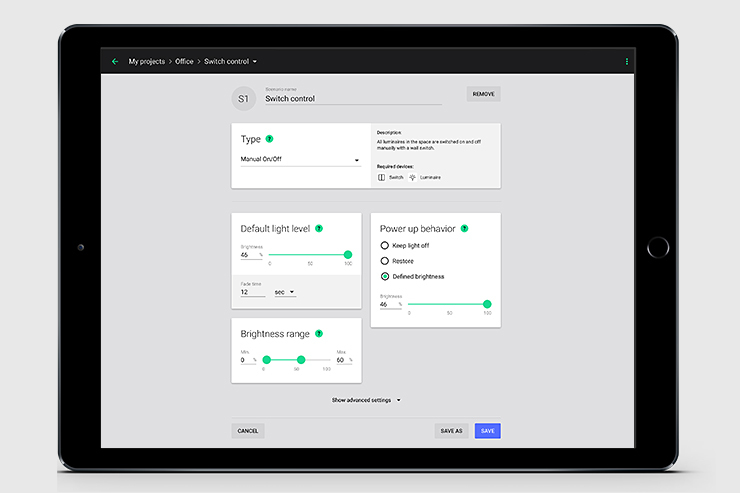 * With its use, you can easily customize lighting control parameters in accordance with site-specific needs and building energy codes. * It enables achieving a fully operational lighting zone, with features such as occupancy sensing and daylight harvesting, with just a couple of seconds spent on each fixture. * Instead of using the one-by-one approach, typical for the existing smart systems, this solution implements desired groups, lighting control scenarios and sensor associations all at once for multiple devices within a particular lighting zone. * The majority of network building procedures is automated and takes place in the background. The procedures include: establishing the network, configuring security keys, assigning addresses to devices, and more. * A significant part of the process can be carried out remotely using a cloud-based web app which enables a user to import floor plans and specify desired zones and features using a library of ready-to-use customizable lighting control scenarios. * The iOS app provides you with lighting control in the palm of your hand. With its use, an installer can comfortably finalize the process on-site by establishing network connections between lighting devices and adjusting lighting control parameters. 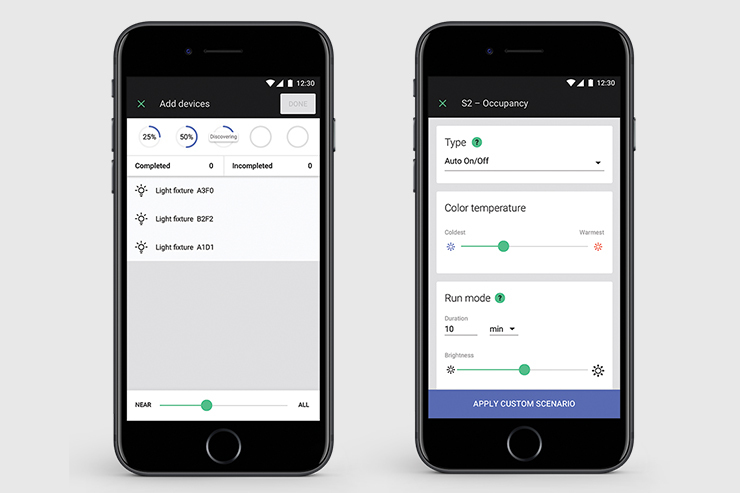 * The iOS app allows for customization and calibration of lighting control during and after the commissioning process. 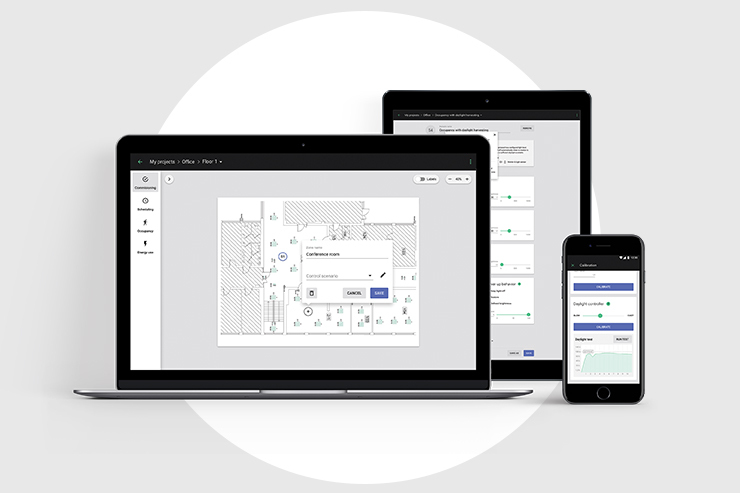 * For smaller installations, where a separate planning stage might not be needed, commissioning can be carried out entirely with the use of the iOS app.